Rosemarie Jahoda has been accused of ruining kids’ chances of attending college by withholding transcripts, ignoring Muslim student leaders and refusing to help disabled students. It is time for Ms. Jahoda to be fired. It seems that wherever she is appointed, she alienates everyone - staff, parents, and students - with all sorts of bad acts. At this point, the only reason the NYC DOE is keeping her is because they HATE to be told what to do and to be shown to be wrong. Put her in a rubber room, give her charges, and have her try to defend herself at a 3020-a arbitration hearing. ASAP. Local political leaders are calling on city schools Chancellor Carmen Fariña to remove an unpopular principal from a top Queens high school, the Daily News has learned. The four Queens elected officials — state Assemblywoman Nily Rozic, Rep. Grace Meng, state Sen. Toby Ann Stavisky and City Councilman Rory Lancman — ripped Townsend Harris High School’s embattled interim-acting principal, Rosemarie Jahoda, in a Feb. 16 letter to Fariña. Officials accused Jahoda of ruining kids’ chances of attending college by withholding their transcripts, refusing to help students with disabilities and ignoring Muslim student leaders when they reported discrimination. 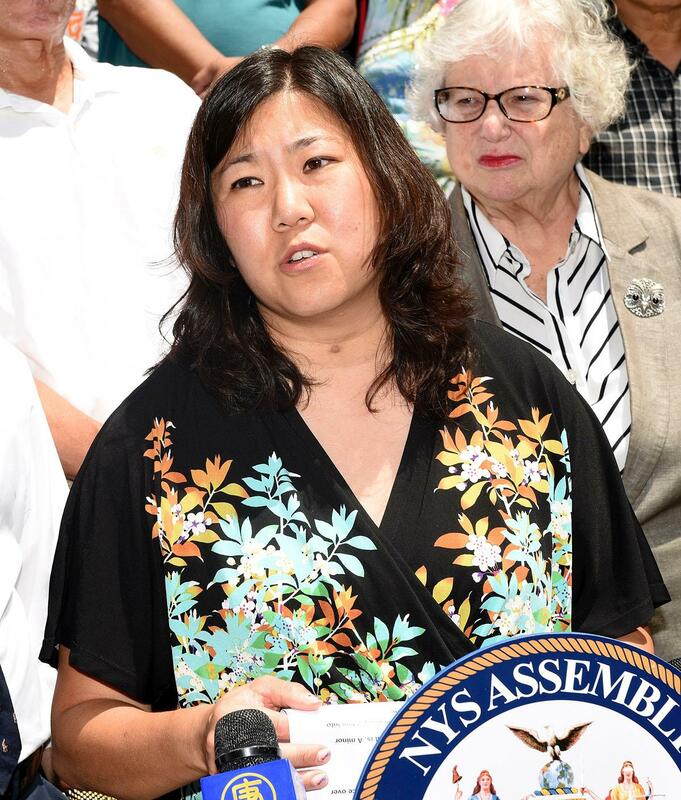 Rep. Grace Meng was among the four Queens elected officials who slammed the interim-acting principal. The letter accuses Jahoda of delaying sending senior transcripts to colleges and universities — adversely affecting students’ acceptance status. It also accuses her of keeping a parent waiting five hours in her office when the parent sought help with one of the delayed transcripts. Jahoda, 55, a 16-year city educator, denied the accusations in the letter and said she’s working to help Townsend Harris students. 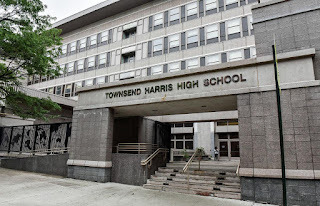 “While I am frustrated by many of these inaccurate allegations, I remain 100% focused on serving students and families at Townsend Harris and working to move the school community forward,” Jahoda said. 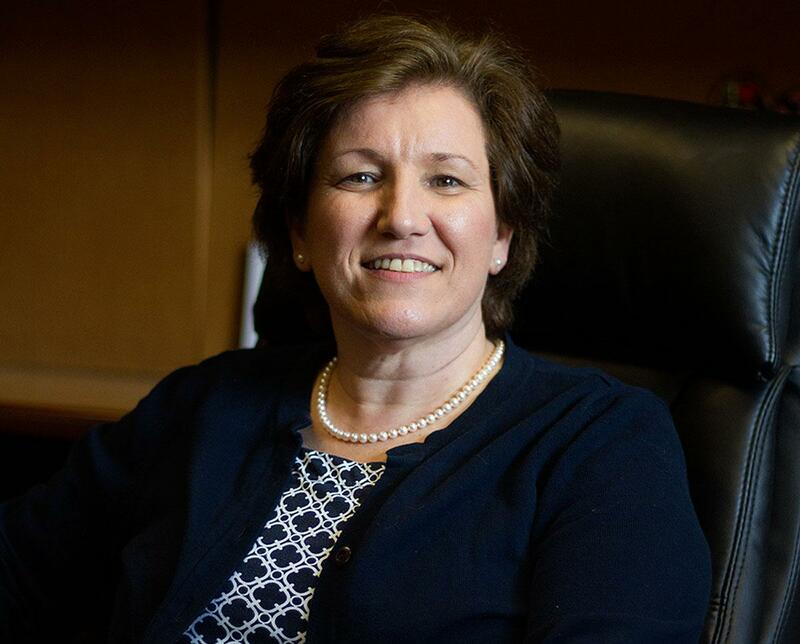 She was appointed acting principal of Townsend Harris in September, a move that many school staffers believed made her a shoo-in for a permanent job as principal there. The controversial educator had come from Bronx Science High School, where 20 of the 22 math teachers she oversaw as an assistant principal filed complaints against her in 2010. Jahoda, who earns a salary of $146,813, immediately clashed with educators and Townsend Harris students, leading parents, faculty and alumni to create a petition calling for her ouster. The document so far has 3,691 signatures. The school’s parent-teacher association has also passed a resolution calling for Jahoda’s removal and students have held multiple protests to have her yanked from the job. For its part, the city won’t rule out making Jahoda the permanent leader of the school. Education Department spokesman Will Mantell said the city has received 38 applications for the position and a selection will be made by early May. He said he couldn’t give any other details about the candidates. Another letter to Fariña, this one sent Tuesday by Queens Borough President Melinda Katz, accused the city of withholding information about the ongoing search for a permanent school principal. Katz maintained the city has not said how it will quell the unrest at the school. Townsend Harris students plan to take the steps of City Hall on Friday morning in a fresh protest of Jahoda’s leadership. The search for a new permanent principal at Townsend Harris High School in Flushing will begin anew, the Department of Education and elected officials said. The news comes after the process was discontinued in the midst of student, PTA and teacher protests against what they alleged was intimidating conduct from Interim Principal Rosemarie Jahoda. Jahoda will remain interim principal at the school, according to a DOE spokesman. A Facebook post by Queens Borough President Melinda Katz said she was advised the DOE would post a job listing Feb. 1. 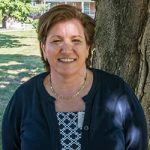 Susan Karlic, the co-president of the Townsend Harris Parent Teachers Association, expressed happiness and relief at the news. Jahoda was installed as an interim principal in September. Karlic and others had raised concerns about Jahoda’s managerial style, alleging she canceled or delayed school trips, hewed too strictly to DOE policy and did not support several students in the school’s Muslim Students Association who were harassed in the aftermath of the presidential election. Jahoda was also criticized for her actions captured on a video taken by The Classic, Townsend Harris’ student newspaper, during a student sit-in held Dec. 8. In the video, Jahoda accompanies district Deputy Superintendent Leticia Pineiro as she speaks to student protesters. Students said Pineiro was dismissive and rude, and Jahoda should not have accompanied her. The principal selection process, known as the C-30 regulation, takes up to 90 days, according to the DOE, and any candidates who apply and are a part of the principal candidate school will be considered for the position. The interviews will likely begin in early March, according to a post from the Townsend Harris Alumini Association. “We are encouraged that there is now a plan here and that the process is moving forward, so we can really focus on the future,” the Facebook post said. The post also said an appointment could be possible as early as late March. When called, an individual in Principal Jahoda’s office said she was not available for comment. In December, Karlic and the PTA voted on a referendum calling for the removal of Jahoda, the start of a new C-30 process with independent oversight from the DOE, and the removal of Pineiro and District Superintendent Elaine Lindsay from the process altogether. Karlic said all the names from the C-30 process started at Townsend Harris in September would be included in the new pool of candidates, which means that Jahoda will still be considered for the permanent slot, much to the concern of her critics. Karlic said she was worried that the DOE and Superintendent Lindsay might back Jahoda despite parents’ concerns. 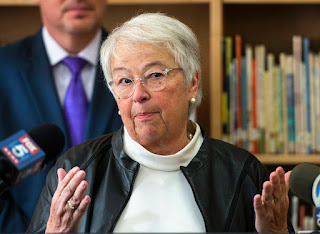 “Even after all the news scandals at school and all the efforts of the whole Townsend Harris community, I fear that the DOE will feel that since she has been at the school since September, they’ll deem it adequate enough to appoint her as permanent principal,” Karlic wrote. An assistant principal created an atmosphere of "intimidation and harassment" in the math department at the storied Bronx Science High School, a fact-finding ruling has found. The independent report sided with a complaint signed by 20 of the department's 22 teachers. Assistant Principal Rosemary Jahoda referred to one teacher as "disgusting," addressed others in a "demeaning" manner like "children" and reduced seven teachers to tears on 12 occasions, the nonbinding decision says. "The education community at Bronx Science needs to see substantial change," wrote fact-finder Carol Wittenberg. She recommended the transfer of an assistant principal and the teachers union chapter leader, as well as the retraction of all disciplinary measures taken against math teachers during the last two years. The Education Department rejected almost all of Wittenberg's findings as "not fairly based upon all the evidence." Jahoda said she was the one being harassed and that the arbitrator's opinion is "not based in fact." "There was no harassment, and to some degree the teachers were trying to intimidate and bully me as a new [assistant principal]," said Jahoda, who was hired in the fall of 2007. Principal Valerie Reidy said she was disappointed by the ruling. "It's about a supervisor doing her job," said Reidy. "You may not like what I said or the results, but that doesn't mean I'm harassing you." Teachers at the school, though, disagreed. "It really exposes the DOE's rhetoric about their supervisory process just being about getting rid of bad teachers," said Peter Lamphere, the union chapter leader. "In this situation, you had good teachers who fell victim to an abusive supervisor."